Why do people celebrate Hanukkah? And should we celebrate? Deu 4:2 “Do not add to the Word which I command you, and do not take away from it1, so as to guard the commands of יהוה your Elohim which I am commanding you. 21 And the male goat is the kingdom of Greece. The large horn that is between its eyes is the first (or chief) king (Alexander). In 323 BCE, about nine years after he first conquered the Land of Israel, Alexander died. His empire then broke up into four kingdoms, fulfilling the prophecy in verse 22, above. One of these four successor kingdoms was the Seleucid Empire, which is located mainly in modern-day Syria. Next, verse 23 tells us that in the latter time of this (Seleucid) kingdom, a fierce, sinister king would arise, who would commit transgressions against the Hebrew people. 24 His power shall be mighty, but not by his own power. He shall destroy fearfully, and shall prosper and thrive. He shall destroy the mighty, and also the set-apart people. Approximately a century and a half later, in 175 BCE, this prophecy was fulfilled. Antiochus Epiphanies (also called Antiochus IV) rose to power in the Seleucid Empire. Not religiously tolerant at all, Antiochus Epiphanies began to commit great atrocities against the Jewish people. In approximately 168 BCE, Antiochus heard reports that there was a great deal of treasure stored up in the Temple. Returning from Egypt, he looted the Temple, and also slaughtered a great many of the Jews. 20 And after that Antiochus had smitten Egypt, he returned again in the hundred forty and third year, and went up against Israel and Jerusalem with a great multitude. 21 And entered proudly into the sanctuary, and took away the golden altar, and the candlestick of light, and all the vessels thereof. 22 And the table of showbread, and the pouring vessels, and the vials, and the censers of gold, and the veil, and the crowns, and the golden ornaments that were before the Temple, all of which he pulled off. Two years later, Antiochus sent tax collectors to speak peaceable words to the people, so as to plunder the city through deception. Then after collecting their taxes they massacred the Jewish people, and used the money to set up a fortress within sight of the Temple Mount, to kill anyone who brought an offering. 32 but the women and children they took captive, and possessed the cattle. 33 Then builded they the city of David with a great and strong wall, and mighty towers, and made it a strong hold for them. 38 insomuch that the inhabitants of Jerusalem fled because of them: whereupon the city was made an habitation of strangers, and became strange to those born in her; and her own children left her. 39 Her sanctuary was laid waste like a wilderness, her feasts turned into mourning, her Sabbaths into reproach, her honour into contempt. 44 For the king had sent letters by messengers unto Jerusalem and the cities of Juda [Judea], that they should follow the strange laws of the land. 49 To the end they might forget the Torah, and change all the ordinances. 50 And whosoever would not do according to the commandment of the king, he should die. Between his incentives for Greek worship and penalties for YHWH worship, Antiochus was largely successful in getting many of the people to abandon the Torah. 51 In the selfsame manner wrote he to his whole kingdom, and appointed overseers over all the people, commanding the cities of Juda [Judea] to sacrifice, city by city. 53 And drove the Israelites into secret places, even wheresoever they could flee for succour [relief]. Having courted those who had no zeal for the Torah, and persecuting YHWH’s followers, Antiochus ordered a statue of Zeus to be erected in the Temple, and he commanded pigs to be sacrificed on the altar. 54 Now the fifteenth day of Kislev (the ninth month), in the hundred and forty fifth year, they set up the Abomination of Desolation upon the altar, and builded idol altars throughout the cities of Judea on every side. 55 And burnt incense at the doors of their homes, and in the streets. 57 And wheresoever was found with any the book of the testament, or if any consented to the law, the king’s commandment was, that they should be put to death. 58 Thus they did by their authority unto the Israelites every month, to as many as were found in the cities. 59 Now on the five and twentieth day of the month they did sacrifice upon the idol altar, which was upon the altar of [Elohim]. The situation soon became very desperate. Mothers who circumcised their children were put to death, along with their children. 61 They hanged the infants about their necks, and rifled their houses, and slew them that had circumcised them. 63 Wherefore they chose rather to die, that they might not be defiled with meats, and that they might not profane the holy covenant: so then they died. Mattithyahu ben Yochanan HaCohen and his five sons rebelled against Antiochus. Although Mattithyahu died a year later (from natural causes), his son Yehudah (Judah) continued to lead the Jewish rebellion with amazing bravery. Vastly outnumbered, the Jews placed their trust in YHWH, and YHWH gave them a miraculous victory against otherwise impossible odds. As a result, Yehudah and family became known as the ‘Maccabees’ (מכבי ). 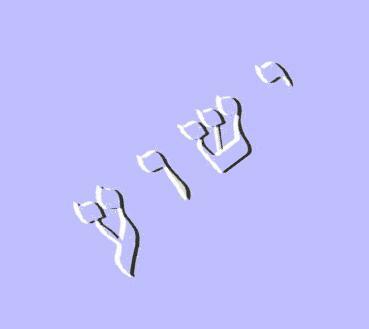 This might be related to the Aramaic word for ‘hammer’, or it may be an acronym for the Jewish battle cry, “Mi Kamocha B’elim, YHWH” (who is like You among the elohim, YHWH?) (מכבי ). Either way, after the Maccabeean victory they needed to build a new altar to replace the one that had become defiled; and they also needed to re-light the Menorah, which YHWH commands to burn continually. Traditionally, it takes eight days to press and refine oil for the Menorah. While the Talmud tells us there was plenty of oil inside the Temple, it claims Antiochus’ forces had defiled most of it, such that there was only enough set-apart oil to light the Menorah for one day: yet YHWH miraculously made it burn for eight. What is [the reason of] Hanukkah? 22 [commence] the days of Hanukkah, which are eight on which a lamentation for the dead and fasting are forbidden. YHWH certainly has the power to make miracles, but the Talmud (written 400-700 years after the war) claims that this alleged miracle is the reason for Hanukkah; yet this alleged miracle is not recorded in the Book of Maccabees (which was written soon after the war). Rather, First Maccabees says only that the Jews cleaned up the Temple, built a new altar, and re-lit the menorah. No eight-day miracle of burning is recorded. 48 And made up the sanctuary, and the things that were within the Temple, and set the courts apart. 49 They made also new set-apart vessels, and into the temple they brought the candlestick (Menorah), and the altar of burnt offerings, and of incense, and the table. Had one day’s worth of oil really burned for eight days, it seems likely First Maccabees would have recorded it. Instead, First Maccabees tells us only that the re-dedication ceremony (חֲנֻכָּה ‎, Hanukkah) lasted for eight days; and that Yehudah Maccabee commanded the people to keep this festival each year. 56 And so they kept the dedication of the altar eight days, and offered burnt offerings with gladness, and sacrificed the sacrifice of deliverance and praise. 57 They decked also the forefront of the Temple with crowns of gold, and with shields, and the gates and the chambers they renewed, and hanged doors upon them. 59 Moreover Yehudah and his brethren and the whole congregation of Israel ordained that the days of dedication of the altar should be kept in their season from year to year by the space of eight days, from the twenty-fifth day of Kislev, with mirth and gladness. Because the record in Talmud is not always reliable, and because the alleged miracle of the oil is not recorded in First Maccabees, some scholars believe the reason Hanukkah was established as an eight day festival was simply because the Jews had been unable to keep the Feast of Sukkot in its proper time (because of the war). Thus it may have been that when the war ended, the Jews simply celebrated a belated eight day festival to YHWH; and then they commanded that it be observed as a festival unto YHWH forever, much like the Fourth of July is celebrated in America. What shall we say about man-made observances, such as Hanukkah and Purim? As with Christmas and Easter, the first thing we should admit is that these festival days are not commanded by YHWH: they are commanded by men. Yet YHWH warns us very clearly not to add anything to His Instructions, so that we might live, and be preserved in safety. 1 "Now, O Israel, listen to the statutes and the judgments which I teach you to observe, that you may live, and go in and possess the land which YHWH Elohim of your fathers is giving you. 2 You shall not add to the word which I command you, nor take from it, that you may keep the commandments of YHWH your Elohim which I command you. 3 Your eyes have seen what YHWH did at Baal Peor; for YHWH your Elohim has destroyed from among you all the men who followed Baal of Peor. The second thing we should recognize is that, as we saw earlier in this study, whoever’s calendar we keep, that is essentially whom we worship (worth-ship). The reason we keep anyone’s calendar is because we consider that person worthy to instruct us, as to what we should do. Yet YHWH is clear that we are not to follow man’s instructions, but that we must only follow His Instructions. He tells us cery plainly not to add to His Instructions: yet Hanukkah does this very thing. It is clear that YHWH did not instruct us to keep either Hanukkah or Purim: men did. Yet since YHWH tells us to be careful not to add anything to His Instructions, then at least in one sense, if we keep Hanukkah or Purim, are we not being disobedient to His will? And might we not even be unwittingly guilty of esteeming these men as ‘greater’ than YHWH, since we are following their instructions, rather than YHWH’s? For a variety of reasons, Scripture indicates that men want to make up make their own festival days; but that this is never pleasing to YHWH, even when these festival days are purposed and intended to honor Him. 23 And Yeshua walked in the temple, in Solomon's porch. However, we should be careful to note that it does not say Yeshua was celebrating the Feast of Dedication: it simply states that He was in Jerusalem at that time, probably because He had stayed on in Jerusalem after Sukkot. This is not the same thing as celebrating it, or going up to Jerusalem for Hanukkah. He might well have been there for other reasons. Those who advocate Hanukkah tell us that Hanukkah is traditionally celebrated by lighting candles, oil lamps, or other lights; and that it was during this same general time frame (during the Feast of Hanukkah) that Yeshua told us that He was the light of the world. Yet neither of these passages prove that Yeshua either celebrated, or approved of Hanukkah. We might easily imagine Yeshua telling those who went up for the festival to look to Him, rather than to the Hanukkiah. Then Yeshua spoke to them again, saying, "The Hanukkiah is not the light of the world, so why do you look to it? I am the light of the world (not the Hanukkiah)! He who follows Me shall not walk in darkness, but have the light of life!"